Yet the beliefs of Jehovah's Witnesses differ from mainstream Christianity as well. Most notably they reject the doctrine of the Trinity and the existence of Hell. Witnesses also have stronger apocalyptic expectations than most Christians. 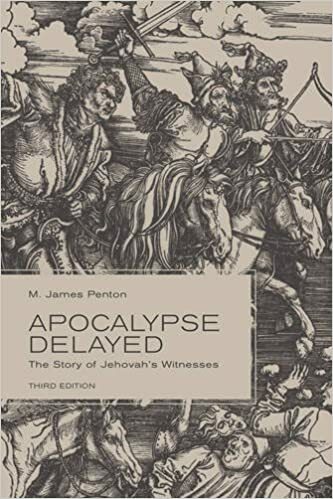 Since the founding of the group, Witnesses have been expecting the imminent arrival of Armageddon and the end times. The following article summarizes the doctrines of Jehovah's Witnesses, noting where they agree and disagree with mainstream Christian doctrines. Jehovah's Witnesses consider themselves true Christians, but most mainstream Christians do not agree that they are. The feeling is mutual, however: Jehovah's Witnesses deny that other Christian groups are true Christians. "How You Can Find Out What God Requires." Official Site of Jehovah's Witnesses. "Who is God?" Official Site of Jehovah's Witnesses. "Who is Jesus Christ?" and "Beliefs and Customs That Displease God." Official Site of Jehovah's Witnesses. "What is God's Purpose for the Earth?" Official Site of Jehovah's Witnesses. "God's Servants Must be Clean." Official Site of Jehovah's Witnesses. "Helping Others to Do God's Will." Official Site of Jehovah's Witnesses. "Who is Jesus Christ?" Official Site of Jehovah's Witnesses. "What is God's Purpose for the Earth?" and "What is the Kingdom of God?" Official Site of Jehovah's Witnesses. See also "God's Servants Must be Clean" on the importance of good works. See "Beliefs: God, Man, and the Future" for a reference to faith, and "Beliefs-FAQ" on the chance for resurrected dead to be saved. "What is God's Purpose for the Earth?" Official Site of Jehovah's Witnesses. See also "Beliefs: God, Man, and the Future" - Jehovah's Witnesses Office of Public Information; and "What Has Happened to Hellfire?" Watchtower, July 15, 2002. "What is the Kingdom of God?" Official Site of Jehovah's Witnesses. "Beliefs: God, Man, and the Future" - Jehovah's Witnesses Office of Public Information. See also "Jehovah's Witnesses," Encyclopaedia Britannica Premium Service. "Christendom Has Betrayed God and the Bible." Official Site of Jehovah's Witnesses.